Bust with the head of an idealized man. Marble. Head: after a Greek original of the 4th century BCE. 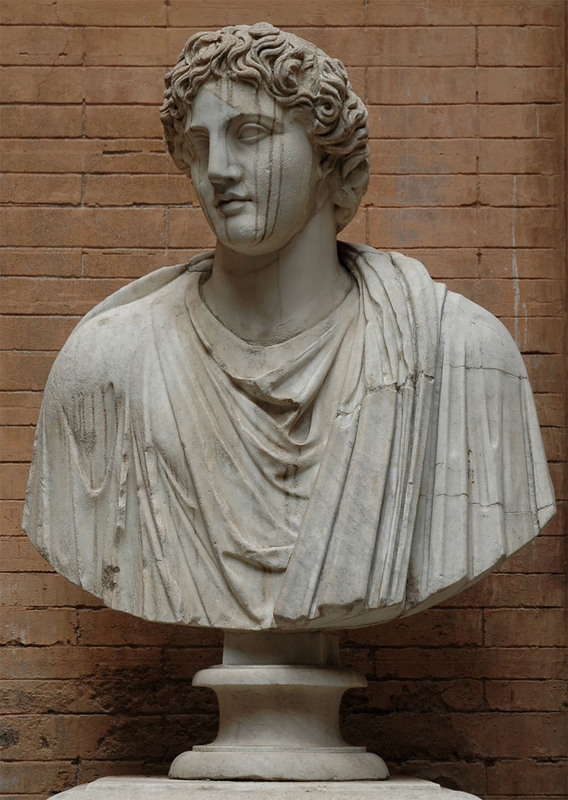 ; bust: late 2nd century CE.